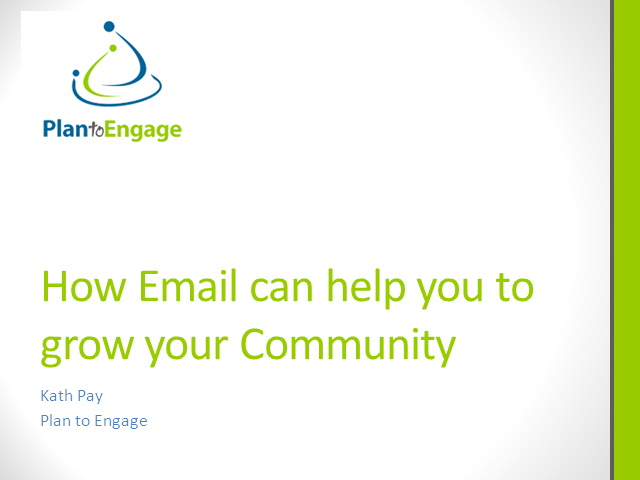 In this session with email expert Kath Pay, we will look at how email can help you to build and engage your community. We will look at examples of how some successful communities have done it and find out what can and should be tested and optimised along the way to enhance the growth and retention of your community. Kath Pay, Co-Founder, Plan to Engage. Presented by: Kath Pay, Co-Founder, Plan to Engage.